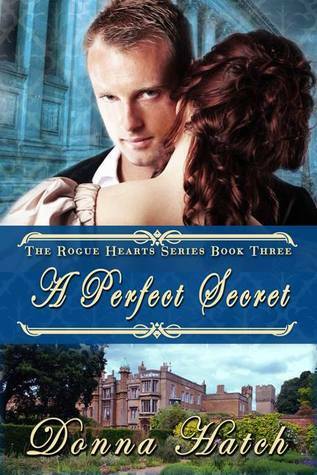 Getting Your Read On: A Perfect Secret by Donna Hatch + $20 and Book Giveaway! A Perfect Secret by Donna Hatch + $20 and Book Giveaway! I always enjoy books by Donna Hatch. This has been a fun series so far with these Amesbury brothers, each with their own demons to battle. Donna’s characters always have personality oozing from them. It’s so easy to get caught up in the story and feel like you know these characters. The great thing about a series involving family is that the characters never really go away even if the books are not centered on them. They make those appearances (as families often do) and it feels good to still have that connection with characters I previously loved. In this book we get the full story on the “perfectly perfect” Christian. I’m so glad because I’ve been waiting to know more about him. He is the youngest of the Amesbury brothers and has spent his whole life trying to prove to his brothers that he is just as good as them. I just love Christian. He is honorable and all things a gentleman should be. He doesn’t have those “rakish” qualities but instead has a charming sweetness about him. Just thinking about him makes me want to say again, I just love Christian. Christian isn’t without his demons though. He has a secret that haunts him. When Genevieve, the love of his heart, betrays him, Christian goes to a dark and cheerless place. Genevieve is a very loyal lady. She tries so hard to protect her father and mother but in doing so, invites the very devil himself into her life. She gives up the life of love she knew she could have with Christian to protect her father’s secret. I’m so glad we didn’t spend much time lingering in that year of hell for Genevieve and instead just get glimpses along the way of what she endured. It is so sad and her husband gave me the creeps. One of the things I love best about this book is how those Amesbury brothers rally the troops when one is in need. They are quick to jump in and stand behind each other. It’s a good feeling to know someone has your back. I think Christian learns a lot in this book about family and forgiveness. That is always a good message to walk away with as a reader. I think I'd want to try living in Regency England for awhile, but I'd get tired of all the formal things and need regular life again. I would want to live in regency England because of the dresses, but other than that I don't want to live in the past. I like this era! I think it would be fabulous to live in Regency England. To experience that era would be a dream. It looked and sounded romantic to live in years long ago but I wouldn't trade today's luxuries for those time eras. Sanitary reasons is one. Communication is another.